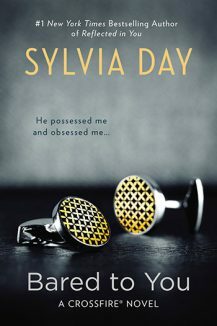 Are you ready for a twisty romantic journey with Gideon and Eva, the characters everyone is talking about? The Crossfire® series is a quintet that follows the emotional and romantic journey taken by Gideon Cross and Eva Tramell. A #1 internationally bestselling series, the steamy angst of the Crossfire® series is hugely popular with readers. Bared to You is Book 1.